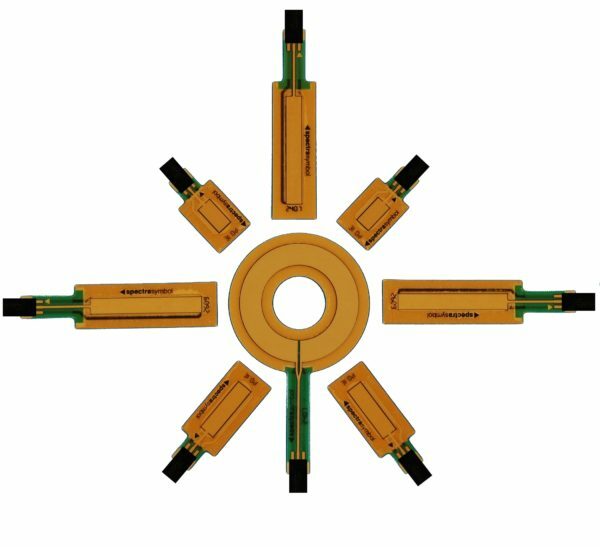 Operating in high temperature environments calls for a more reliable heat resistant position sensor. Spectra Symbol’s HotPot potentiometer makes tracking movement in a volatile environment easier. It has a thin and sealed form factor that allows it to operate at temperatures ranging from -40°C to +85°C. This feature makes the HotPot an ideal heat resistant position sensor for industrial, military, and automotive applications. Design engineers choose the Spectra Symbol HotPot position sensor because of its robust design and high life cycle output. Made from impregnated fiberglass material, the Spectra Symbol HotPot position sensor is highly resistant to temperature fluctuations. It operates either via an actuator or finger contact. OEMs and engineers prefer using this pot with a finger or stylus. attached to the shaft is a wiper that provides absolute position location. The Hotpot is an invaluable tool for applications that require absolute position sensing. You can combine multiple HotPots in a single control panel. You can change the resistance by simply pressing down on tdifferent parts of the strip, which can measure up to 900mm. By changing the resistance, you can easily calculate the relative position on the strip. The HotPot is a three-wire system with two resistive output channels and an electrical collector channel. By pressing a wiper down onto the top circuit the HotPot produces the desired electrical output. The construction of the wiper design can adapt to any application because most materials can serve as the wiper: plastics, metals, sliders, rollers, wheels, etc. Also, the HotPot can also be manually (hand) actuated.